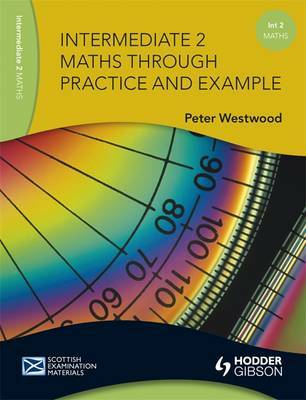 Following the success of Higher Maths Through Practice & Example, Peter Westwood has produced a similarly useful textbook for Intermediate 2 level. Based on classroom experience of what works - and what doesn't, years of teaching and examining experience contribute to a collection of worked examples for all areas of the syllabus - and a wealth of exercises to let students practise at all levels of difficulty. It can be used as a classroom text, or homework/supported study source of extra exercises, or as a self-access study guide. Whichever way it is used, Intermediate 2 Maths through Practice & Example will aid chances of success at the highest level.